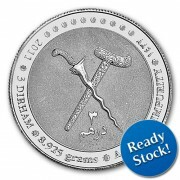 Please note that GDSD International will only confirm and lock-in the bullion order price after receipt and clearance of the full payment for an order. Upon full receipt of your payment, GDSD International reserves the right to void a sale and refund the customer the full value of the purchased items when sudden bullish movements exceeding 5% in the precious metals market occur between the order date and date of receipt of full payment. Subsequently, GDSD International may contact you directly, within 24 hours, with a new price offer in accordance with the current precious metal prices as published on the current Website. Do you charge any additional fees other than the price listed on the site and shipping? No. We do not charge any broker or commission fees. After completing your online order, you will be directed to a final page thanking you for your order along with an order number for your reference. If you are not directed to this page then the order is not complete. Please be sure that the "Terms and Acceptance" box has been checked on the final page, or your order will not be processed. Once a payment is received an email will be sent to you with an updated status. Please ensure that emails that are sent from GoldDinarSilverDirham.com are not blacklisted and appear in your email spam folder. The Standard Delivery Time for items in "Ready Stock" is 3-8 business days. "Pre-Order" items will typically require 2 -5 weeks for delivery. Please check the "Availability" section for your item carefully before proceeding to check out. May I waive my shipping charges? The date and time for the collection will be communicated privately to you when your shipment is ready for pick up. We are fully governed by the laws of Malaysia. 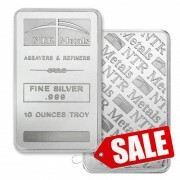 Presently there is no sales tax charged on bullion purchases. Our domestic packages within Malaysia are shipped via PosLaju Malaysia. Each packages below 2kg is insured up to MYR100 and a package that exceeds 2kg is insured up to MYR300. Our international packages are shipped via FedEx. Each package is insured up to USD1000. Do you report my transaction? As gold and silver bullion are exempt from sales tax in Malaysia, we are not required to report individual transactions. Our website is open for purchases 24 hours a day, 7 days a week, 365 days a year. Yes, we do. Our international shipments are handled by FedEx. Each package is insured up to a value of USD1000. I tried placing an order, but I am not sure if it was accepted? Unless you receive an order confirmation number, your order did not go through. You may want to try placing the order again, or contact us for clarifications on your order. What happens if I decide to cancel an order? Due to the constantly changing market, canceled orders are subject to a 5% restocking fee plus applicable market loss. The customer is not entitled to any market gain in relation to a cancelled order. What if I want to return my coins? Yes, we do. Please note that GDSD International will only confirm and lock-in the bullion order price after receipt and clearance of the full payment for an order. 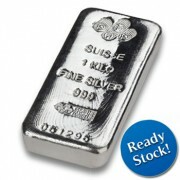 Upon full receipt of your payment, GDSD International reserves the right to void a sale and refund the customer the full value of the purchased items when sudden bullish movements exceeding 5% in the precious metals market occur between the order date and date of receipt of full payment. Subsequently, GDSD International may contact you directly, within 24 hours, with a new price offer in accordance with the current precious metal prices as published on the current Website. 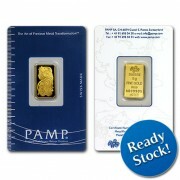 Do you buy bullion bars and coins? Yes. 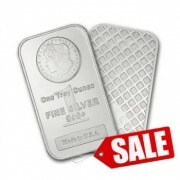 We buy back bullion bars and coins from our existing customers on a case-by-case basis. Please contact us for a purchase quote.